Some years, winter can seem endless. Between the cold temperatures, the early sundowns and (depending on where you live) the snow, it can be tempting to hide your sneakers in the back of the closet and vow to get back to a routine come spring. Bowling: According to The Bowling Foundation, more than 25 percent of Americans bowl each year. There is a reason this sport remains popular – it’s fun! In addition to the health benefits, there is the added bonus of social interaction. Research seniors bowling leagues in your area, or make your own. Swimming: The best part of indoor swimming pools? They are warm year-round. Swimming is a great way to get cardiovascular exercise that is gentle on your joints. In addition to laps, many pools offer classes like Aquafit or even AquaSpin, where you can ride a stationary bike in the water. Video games: To cold to venture outdoors, even to the car? Get fit in your living room. Many video game consoles, like Playstation and Xbox, offer fitness games along with sports games like tennis and golf. Improve your swing before spring! Mall Walks: Get the stimulation and people-watching of a neighbourhood stroll while enjoying the temperate environment at your local shopping mall. Check to see if your mall has a walking program – some open the doors early in the morning for walkers and offer group walking programs. Dance class: Shake off the winter blahs by taking a fun dance class. 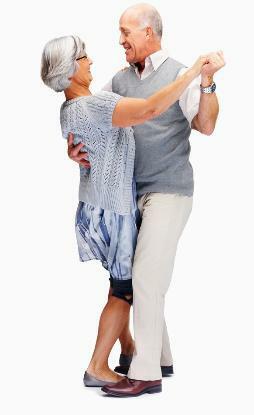 You can find a class that matches your interest and skill level – from ballroom dancing to Zumba to hip hop. An added health benefit: studies have shown that dancing can improve balance and walking speed and may decrease risks for falling. What’s your favorite way to get active in winter?